Each week throughout the season check out the Games of the Week that are highlighted in the Rose Bowletin!  Sign up for the Rose Bowletin by clicking here! 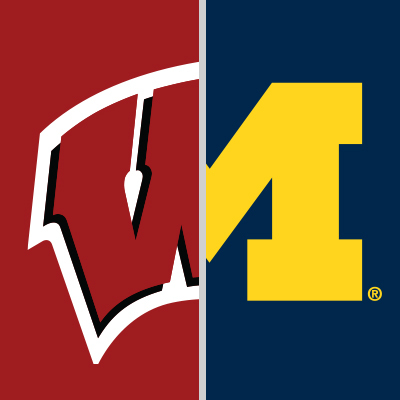 The Badgers and Wolverines meet in the Big House in a cross-division Big Ten matchup. It will be a battle of strength versus strength, specifically in the running game, as the Wisconsin offense faces the Michigan defense. The Badgers and sophomore sensation Jonathan Taylor rank fourth nationally in rushing offense, while the Wolverines are fourth in the country in defending the run. The Badger offense is finding its mojo as the season wears on, including 41 points against Nebraska last week.  Taylor ran for 221 yards and three touchdowns en route to winning Rose Bowl Game Big Ten Player of the Week. Most importantly, it appeared the Wisconsin offensive line was finally in-sync last week after a slow start. The Badgers had four All-Americans returning on the o-line this season, but they appear to be coming together at the right time. Junior quarterback Alex Hornibrook is protecting the ball better this season. He has thrown just two interceptions after throwing 15 a year ago. Junior receiver A.J. Taylor and freshman tight end Jake Ferguson lead the Wisconsin passing attack with 34 combined catches for 567 yards and two touchdowns each. The Wisconsin defense has had to overcome some youth this season as the Badgers graduated seven defensive starters from 2017. The biggest hit has been to the defensive line, where the Badgers have struggled to get consistent pressure on the quarterback. Wisconsin has two of the best linebackers in the Big Ten in seniors T.J. Edwards and Ryan Connelly, who lead the team in tackles. Wisconsin has a young secondary, but has some stability with senior safety D’Cota Dixon. The Badgers biggest playmaker on the backend this year, freshman Scott Nelson, will miss the first half of this game after being called for targeting in the second half last week against Nebraska. Michigan arguably has the best defense in the country, but their offense is nothing to scoff at. The addition of transfer quarterback Shea Patterson has the Wolverine’s offense humming as Michigan has scored 40 points in four of six games. Senior running back Karan Higdon has taken over the rushing attack with 582 yards and five scores this year, while juniors Tru Wilson and Chris Evans have added a combined 360 yards and three scores. Michigan has a lot of weapons when throwing the ball, including a pair of tight ends in senior Zach Gentry (20 catches, 306 yards, 1 TD) and junior Sean McKeon (9, 84, 1). Receivers Nico Collins, Donovan Peoples-Jones and Grant Perry have combined for 45 catches for 571 yards and six scores. The Wolverines defense is first nationally in total defense, first in pass defense, fourth in rushing defense and 10th in scoring defense. Michigan returned eight players on defense who earned All-Big Ten honors from a year ago, including first team defensive ends Rashan Gary and Chase Winovich, and first team linebacker Devin Bush. Winovich leads the Wolverines with 10.5 tackles for loss and three sacks this season, while Bush leads the team in tackles with 40. Michigan has held five of their six opponents to their season-low in yards. As dominant as they have been between the 20’s, the Wolverines have struggled a bit when backed up and rank 106th in the country in red zone defense. 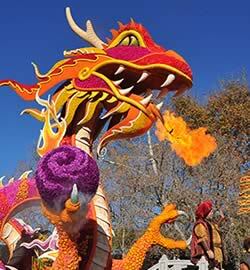 This one lines up to be a defensive battle. The last time these two teams played in Ann Arbor, Michigan, the Wolverines won 14-7. But often in matchups like these, it’s the hidden numbers that tell the story. Wisconsin ranks fifth nationally in time of possession, which will be key for the Badgers. Wisconsin will need to be able to sustain offensive drives. When they get in the red zone, they are 14th nationally in converting scores. On the other side, the key for Michigan is to be more disciplined than they have been this season and avoid penalties. They rank 123rd nationally in penalties committed this year. From 2004-2015, Oregon won 12 straight games in this matchup. But over the last two years, the Huskies have taken control of this matchup with two wins by an average of 42 points. Washington started the year with a tough loss to Auburn but had slowly gotten better and better as the season wore on.  Last week, the Huskies didn’t look great against a winless UCLA team, but they escaped the Rose Bowl Stadium with a 31-24 win. The Washington offense, led by a pair of seniors, quarterback Jake Browning and running back Myles Gaskin, average a respectable 442.7 yards per game. Browning has thrown for 1,508 yards and nine touchdowns this season, while Gaskin (554 yards) is well on his way to becoming the 10th player in NCAA history with four 1,000-yard rushing seasons. Junior wide receiver Aaron Fuller has more than matched his career numbers (41 catches, 475 yards, 3 touchdowns) by leading the Huskies in receiving with 35 catches for 574 yards and a pair of scores. UW has had one of the best defenses in the country during Chris Peterson’s tenure as head coach. This year is not much different. The Huskies rank 18th nationally in pass defense allowing just under 175 yards per game through the air and 41st in the country in rush defense, surrendering 129 yards per game on the ground. Most importantly, Washington has kept opponents off the scoreboard, allowing just 13.7 points per game, third best in the NCAA. Where the Huskies have had trouble is getting opponents behind the line of scrimmage as they have recorded just eight sacks and 22 tackles for loss in six games, both of which rank outside the top 100 in the country. Senior linebacker Ben Burr-Kirven is the standout on this year’s Husky defense as he leads the team with 74 tackles, more than double the next player on the Washington D.
Oregon should, for all intents and purposes, be undefeated. The Ducks had a chance to run out the clock against Stanford on September 22, but a fumble with 51 seconds left gave Stanford the ball back and the Cardinal tied the game as time expired. Oregon lost in overtime. The Ducks responded with a 42-24 win over Cal in which junior quarterback Justin Herbert continued his aerial assault on defenses. Herbert is eighth nationally in passing efficiency and has thrown 15 touchdowns to just five interceptions this year. Oregon has the top rushing attack in the Pac-12, averaging 216 yards per game, with a trio of running backs. The Ducks have three backs with more than 40 carries this year, led by freshman CJ Verdell’s 68 carries for 420 yards. 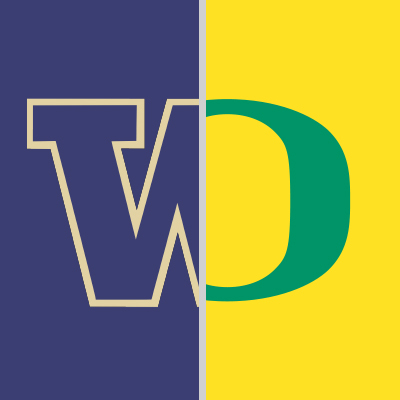 Defensively, Oregon is essentially the opposite of Washington. They have a middle of the pack defense, 37th overall and 49th in scoring defense, but the Ducks get after the quarterback (3.2 sacks per game). Oregon leads the Pac-12 in interceptions with eight and total turnovers forced with 10. Senior Ugochukwu Amadi and freshman Jevon Holland lead the Ducks with three interceptions each. Senior outside linebacker Justin Hollins leads the team with eight tackles for loss and four sacks. His early season success should force opponents to shift their focus from fellow senior Jalen Jelks, an All-Pac-12 performer from a year ago who has four TFLs and 2.5 sacks this season. These two teams have had just two games that have been decided by seven points or less in this millennium. This year, however, may be one of the most balanced matchups in recent history. Look for this game to be an old-fashioned Pac-12 shootout. This game looked destined to be a top-five matchup, but the Tigers slipped last week against Florida and fell outside the top-10. For Georgia, it’s the first of four straight games against ranked opponents and in one of the toughest environments in college football, Death Valley. The Dawgs are coming off their best season in nearly 40 years, including their first Rose Bowl Game win in 75 years, and a National Championship appearance. They’ve carried that momentum over into 2018 with a 6-0 start and an average margin of victory of nearly 30 points. Sophomore quarterback Jake Fromm continues to grow and is now one of the best QBs in the country. Fromm is completing 72.8 percent of his passes for 1,200 yards and 12 touchdowns. Sophomore D’Andre Swift was expected to be the lead back for Georgia, and while he’s played well (59 carries, 290 yards, four touchdowns), junior Elijah Holyfield, the son of former heavyweight champion Evander Holyfield, leads the Dawgs with 432 yards and three scores. The receiver duo of Mecole Hardman and Riley Ridley have nearly identical stat lines, 22 catches and four touchdowns. On defense, Georgia was expected to take a step back in 2018 but that isn’t the case. The Dawgs are tops defensively in the SEC, allowing just 283 yards per game. They rank second nationally by giving up 13 points per game, behind just Mississippi State (12.7). Senior linebacker D’Andre Walker has stepped up in the place of graduated and drafted players like Roquan Smith and Lorenzo Carter by leading the team with five tackles for loss and four sacks, with an additional eight quarterback hurries. Senior cornerback DeAndre Baker is one of the best defensive backs in the country and has lived up to his billing this year with two interceptions and six pass breakups. As a unit, the Dawgs are sixth in the country team passing efficiency defense. LSU started the season with two of the best wins of the year. The Tigers beat No. 8 Miami, 33-17, week one, then defeated No. 7 Auburn on a game-winning field goal, 22-21, in week three. Junior transfer quarterback Joe Burrow threw his first two interceptions of the season in a 27-19 loss to Florida last week. Burrow has been the leader at QB who the Tigers have been missing over the last few years, tossing for 1,214 yards and six touchdowns in six games. Senior running back Nick Brossette has stepped up after sitting behind Leonard Fournette and Derrius Guice the last three years. Brossette had 46 carries over the previous three years, but has adjusted into the lead role well with 118 carries for 576 yards and eight touchdowns this year. Sophomore Justin Jefferson leads LSU in receiving with 22 catches this year, but senior tight end Foster Moreau is a sleeping giant. The Tiger defense is stocked with future NFL talent. Preseason All-American linebacker Devin White leads the team with 53 tackles and is tied for the team lead with safety Grant Delpit with 6.5 tackles for loss. Delpit has become one of the top defensive players in the SEC and leads the team with three interceptions, three sacks, six passes defended and four quarterback hurries. Fellow defensive back and preseason All-American corner Greedy Williams has two interceptions. As a team, LSU has picked off eight passes and rank 17th in the country in team passing efficiency defense. The Tigers have held opponents to 17 points per game, which ranks 15th in the country. This will be by far Georgia’s toughest test to date. The same goes for LSU, despite playing two other top-10 teams this season. This game looks like it could be a defensive battle, but if the Bulldogs offense gets rolling, they’re tough to stop. 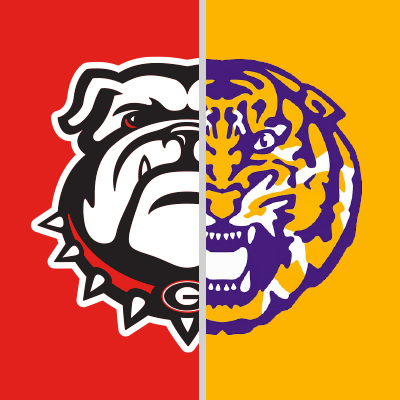 LSU isn’t built to come from behind, so an early lead will bode well for Georgia. If the Tigers want to come away with the win, they’ll need to keep it a low-scoring affair by controlling the clock and running the ball.